Cobalt prices are set to remain strong in 2019. Learn to find the right stocks and opportunities. 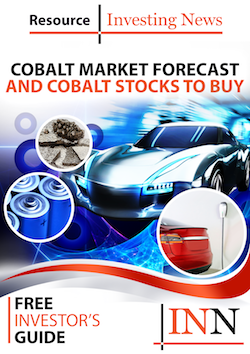 Your free Investor Kits include: Go Cobalt, KOPR Point Ventures, Lions Bay Capital, Chilean Metals, Canada Cobalt Works, Fortune Minerals Limited, Nevada Sunrise, Canadian Energy Materials, Power Group Projects, Searchlight Resources Inc.